Once a Necessary Evil. Now as Good as it Gets. Bring collections into the 21st century. Accounts receivable departments are notoriously slow to adopt new technology. Esker's automated AR system powered by TermSync changes the game by helping companies modernize without replacing their core billing and collections processes. By simply automating what should be automated, customers get the post-sale experience they deserve and your team gets the tools they need. “Our customers have become more proactive in the collections process. Give customers the control and convenience they’ve come to expect. Having a “personal touch” in customer service is great, but what today’s customers really value is the ability to perform tasks and find information online. 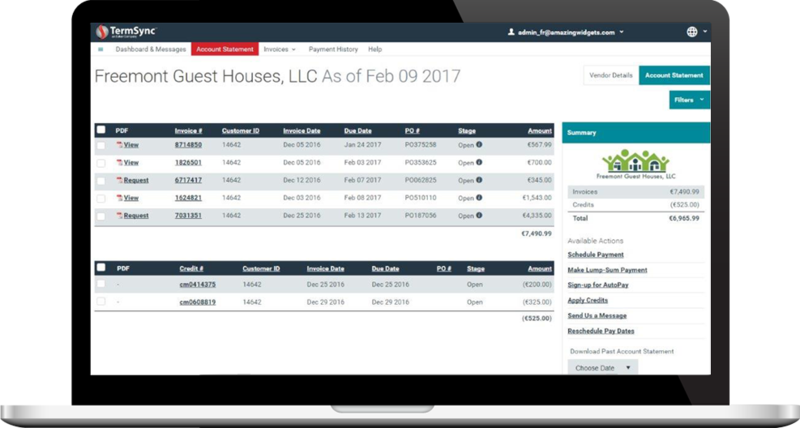 Esker's customer portal powered by TermSync technology allows companies to provide that option, acting as an online support center for everything invoice-related. SELF-SERVICE TOOLSto view invoice info, make payments, apply credits, auto-pay, etc. SUPPORT TOOLS to send messages, ask questions, track vendor response time, file disputes, etc. 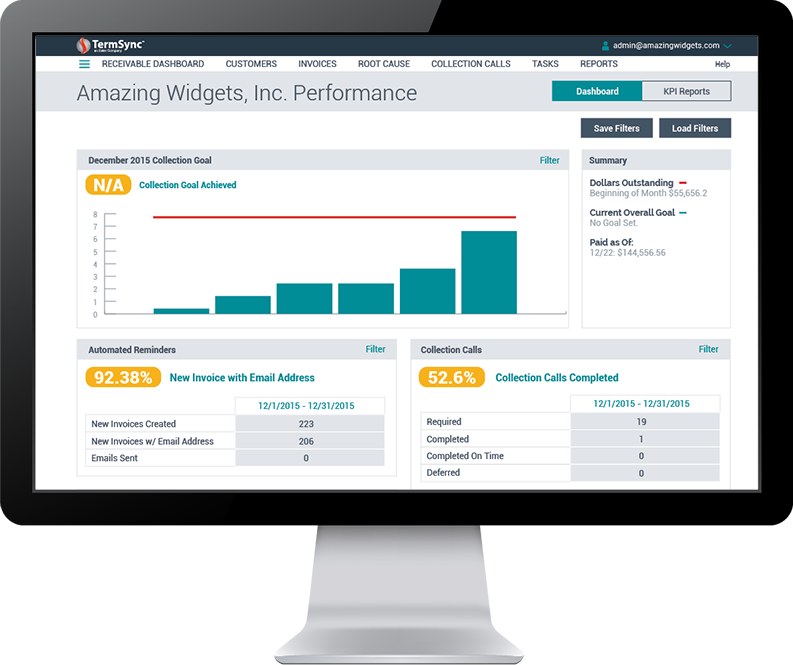 ENGAGEMENT TOOLS to set up auto-pay reminders, track when invoices were viewed, log-in, etc. Streamline the credit application process. Getting complete and accurate credit information from customers is easier said than done. Esker’s online credit application takes the hassle out of the process by providing users with a customizable online form that includes automated workflow approval and audit trail, secure storage, and trade references. Whip your analytics into shape by going beyond DSO. Most AR departments measure how quickly they were paid … and that’s about it. With Esker, companies are able to shed light onto simple, yet essential metrics that are invaluable to the success of billing and collection process flow. Collections is just one part of your AR process. Ensure sucessful invoice delivery - every time.